First Festival Fortnight event announced | LEAP Sports Scotland LEAP are pleased to announce that the first event for Festival Fortnight 2018 is open for sign-up! "> LEAP are pleased to announce that the first event for Festival Fortnight 2018 is open for sign-up! LEAP are pleased to announce that the first event for Festival Fortnight 2018 is open for sign-up! Seahorses Trans including non-binary swimming will return in the form of a one-off gala, as part of LEAP Sports Scotland’s Festival Fortnight. This free event will take place at Seahorses’ original venue, Whitehill Pool in Glasgow on Sunday 3rd June from 2pm. The event is flexible, offering something for a variety of experience and interests. The main pool will host a 1-mile relay swim. On the day you can form teams as large or small as you like and complete the 64 lengths it takes to swim 1 mile. 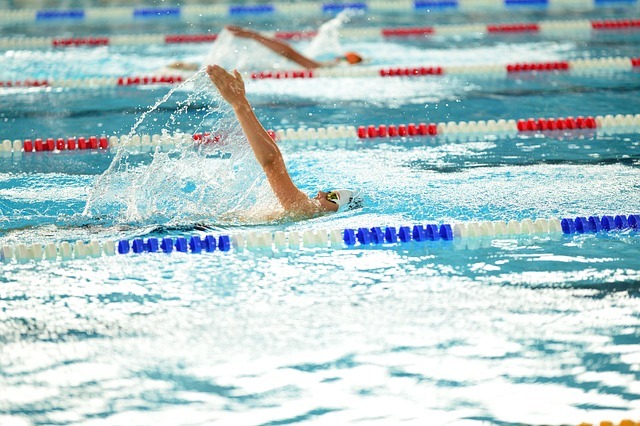 The smaller training pool will also be accessible for those who want to splash back and enjoy themselves without the pressure of a long swim. Jump in by signing-up here. Results from LEAP’s community consultation (2015), ‘Swimming in Glasgow for the Transgender Community’, showed that accessing safe, comfortable and non-judgmental environments was central to participation. This is reflected in the ethos of Seahorses as they strive to offer a friendly and welcoming environment to build confidence among participants. While Seahorses appreciate support from trans allies, this event will operate under "Safe Space" for Trans including non-binary identifying individuals only and operate a gender-neutral cubicled changing environment. The main swimming event will be preceded by a Swimming for TIQ+ people discussion panel, also open to trans allies. This will take place between 11.30-13.00 venue TBC and will include activists from across Europe. Those participating in the main swimming event are encouraged but not required to attend. If you fancy it, drop us an email at info@leapsports.org and we can keep you updated with venue details as they’re confirmed. Festival Fortnight takes place 1st to 14th June and will feature a range of activities highlighting LGBTI issues and sport. If you would like to list an event, don’t hesitate to do so here. Don't hesitate to get in touch at info@leapsports.org should you need help with planning or have any questions. You can read more about the impact of Seahorses here. Written on 14th April 2018.